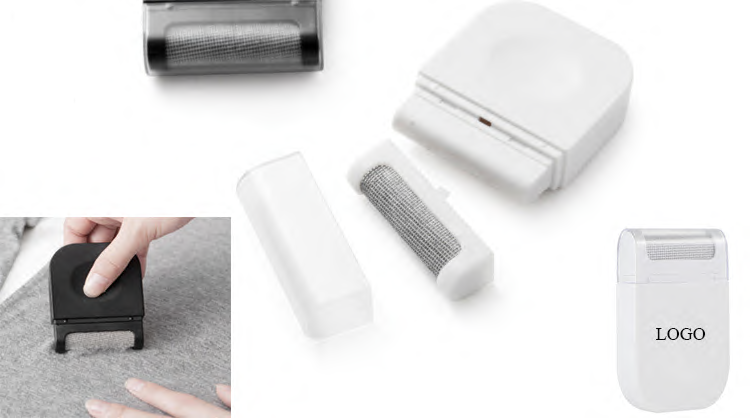 Reusable lint remover is made of plastic. No need to charge or use battery. Custom logo can be imprinted with all colors.